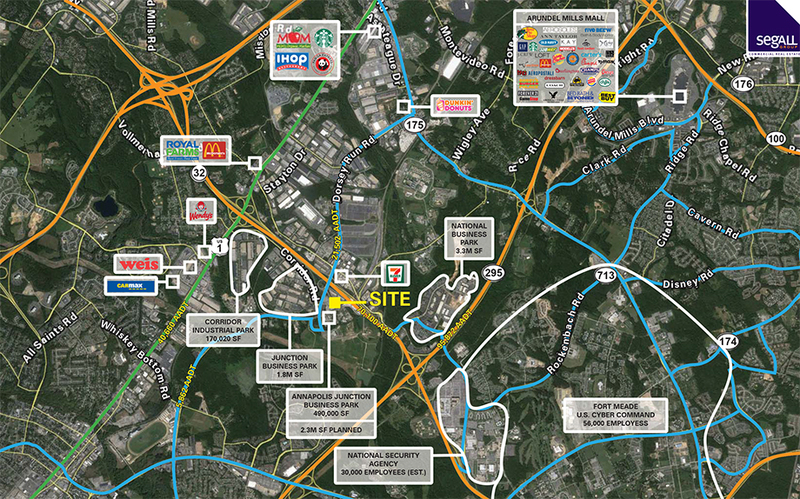 Annapolis Junction Town Center is centrally located in the corridor between Washington, D.C and Baltimore, MD. The site is just over one mile from Ft Meade, the nation's fourth-largest military base and also the home of the National Security Agency (NSA), the U.S. Cyber Security Command, and other key government security installations. 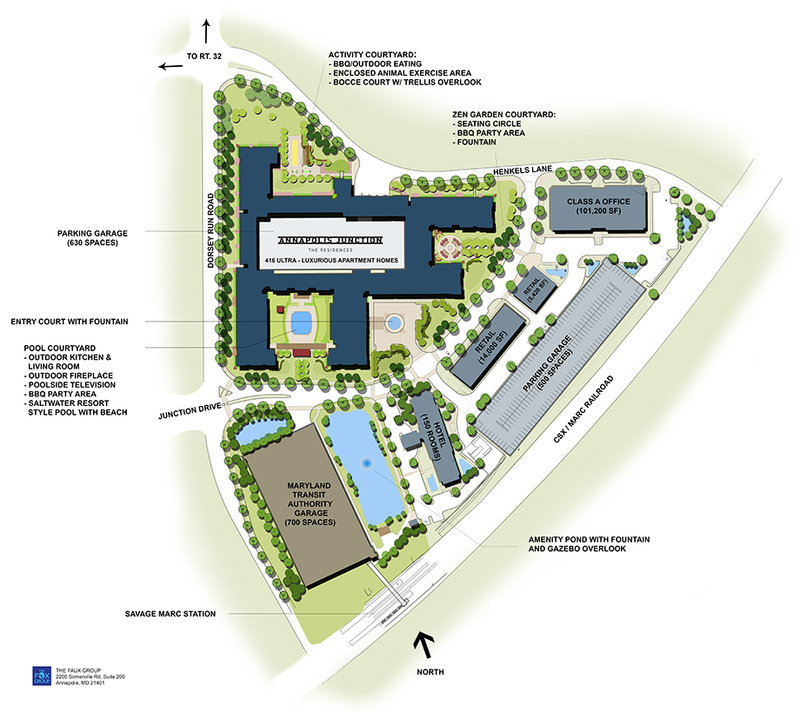 As a result of ongoing growth and relocations, it is expected that employment in the Fort Meade area will increase by 15,000 or more jobs in the next several years - with some estimates of up to 60,000 jobs added by 2022 - and over 65,000 current jobs. A significant portion of these new jobs will be professional/technical positions with private sector support contractors. 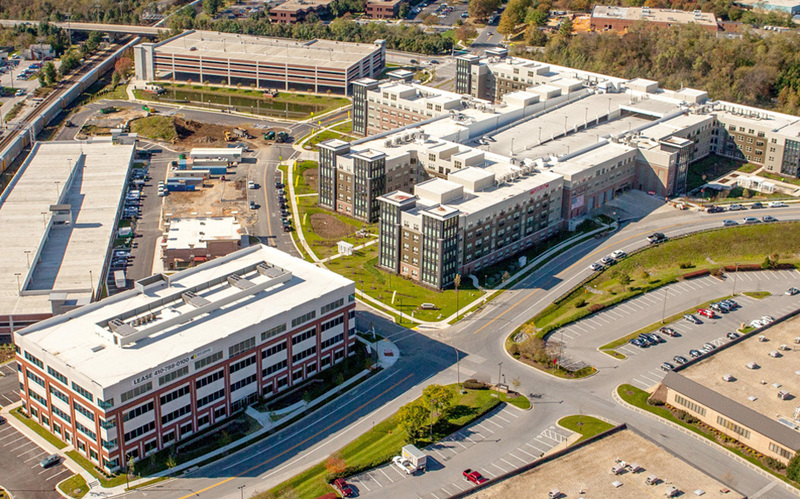 The project, located in Howard County, is zoned TOD (Transit Oriented Development). TOD developments are designed to be compact, of moderate to high density, mixed-use, walkable neighborhoods with the intent of increasing ridership by creating destinations within a short walk of transit stations.